Flip a coin. 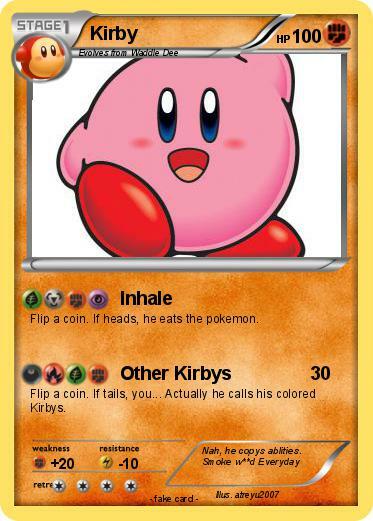 If heads, he eats the pokemon. Flip a coin. If tails, you... Actually he calls his colored Kirbys.